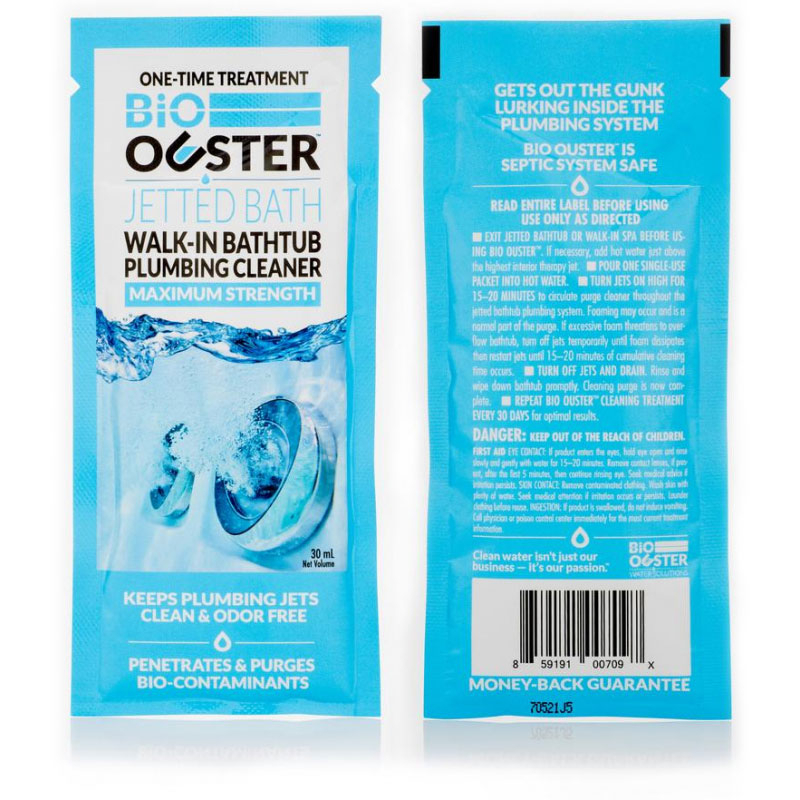 Bio Ouster® Jetted Tub deep Cleanser purges dangerous bio contaminants from jets, pipes, and surfaces. "Your jetted tub probably isn't as clean and safe as you think. 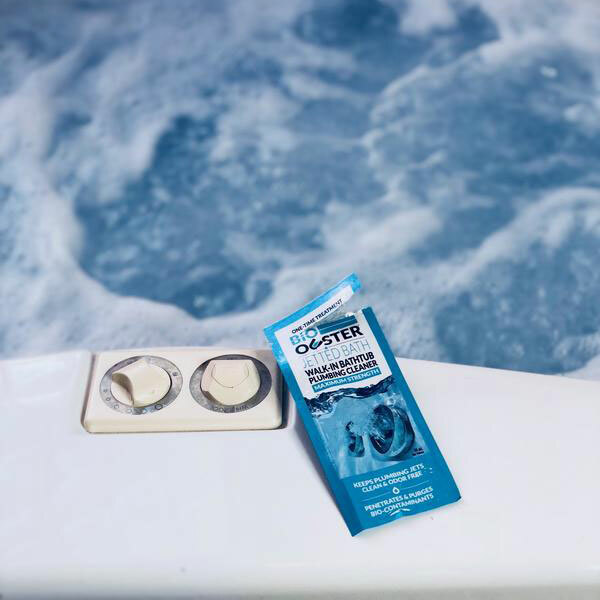 Dangerous communities of bio matter such as bacteria, yeasts, fungi, protozoa, algae, and other organisms thrive in the pipes and surfaces of your jetted spa by creating a protective shell called bio matter. Remember, while bathing in what seems like a perfectly clean bathtub, behind the scenes are many feet of interior plumbing lines moving water seamlessly throughout the tub. When not in use these plumbing lines become a breeding ground thriving on nutrients such as soaps, lotions, sweat, organics and other contaminants. The main reason lies in the operating temperature. You usually heat the water up to about 100 degrees creating a wonderful environment for bacteria. After just a few months in operation you will likely see changes. The most common are usually "black, brown or white" flecks coming from your jetted bath tub. Others may experience foul' or 'musky' smell coming from your jetted bath tub. The root cause is usually bio-matter. These colonies of bacteria stick to any surface as long as moisture and nutrients are present including rubber gaskets, interior plumbing system, jets and even your skin. 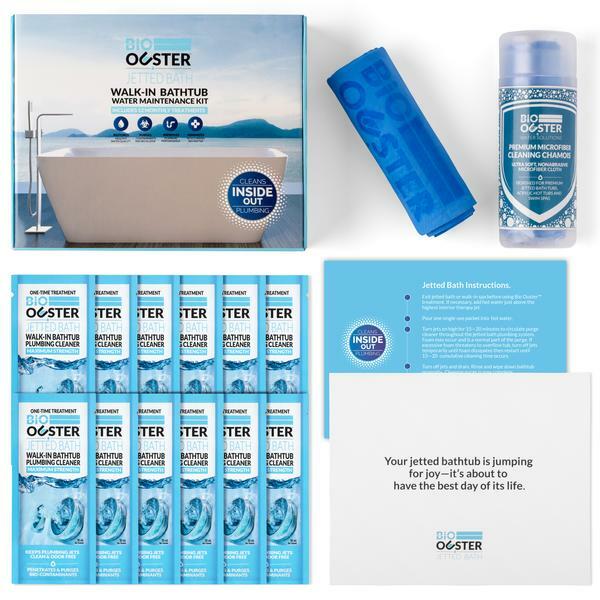 Bio Ouster® CAN aid in the removal of the Biofilm by penetrating the matrix allowing for planktonic cells to be oxidized by the sanitizer or drained from the jetted bath. I never saw so much junk come out of my tub jets. The cleaner seems to be doing exactly what it states. Time will tell. This product did it's job well. There was stuff that came out of the pipes that was gross and embarrassing to say the least. We will be buying this regularly to clean our jetted tub monthly from now on. Product worked as described. If garden tub is really dirty you will need to use two or three treatments initially. My first time using Jetted Bathtub Deep Cleaner and so much easier than other products I have tried. Ordered four packets and will certainly order again when necessary Company makes it very easy to order from and their service was great.